Just 30 minutes’ drive from the North Sea and part of the metropolitan region of Bremen/Oldenburg, this city on the Hunte river offers everything you can imagine. With more bicycles than inhabitants it is a lively town to work, study and enjoy life all year round. And you can even learn something special here: Every winter a typical vegetable for this region is the centre of attention - the green kale is so famous that there is even a green kale academy to learn everything about this cabbage. 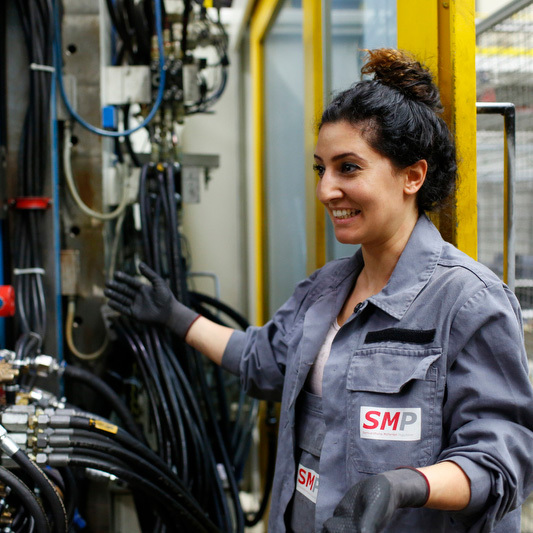 The SMP plant is one of the largest in Oldenburg and one of the most northerly production plants for SMP. Approximately 440 employees collaborate here to shape our success. Here we produce interior and exterior modules for our international customers such as door panels, instrument panels and bumpers. The highly automated painting facility is one of the most modern of its kind in Germany. Join our team and help us to shape world class vehicles with our products.